At CESA 2012, visitors will have the opportunity to discover an austrian pavilion. For the first time in Paris, Austrian companies will showcase their cutting-edge technology and high-quality products in the field of automotive electronics. While the system on the market offers parking space detection and automatic steering with the driver operating the pedals and gears, Valeo is already preparing the next generation. Maybe some of you remember the Park4U Remote application (World Premiere at 2011 IAA show, Frankfurt) that demonstrated a fully-automatic parking keeping the control via a smartphone. But you can seen an even more impressive demo at Vienna. With 300 exhibitors, the 19th ITS World Congress will be the pre-eminent international exhibition on devices, technologies and services related to intelligent transport systems, from 22 to 26 October in Vienna. Under the motto "Smarter on the way", the exhibition at this year's ITS World Congress will bring together all of the important players in the field of intelligent transport systems. The exhibition will show the huge amount of potential there is for improving our everyday lives by implementing ITS systems. The exhibitors will cover all aspects of transport systems: from complex information and communication systems and increasingly advanced navigation and payment systems to security, ecology and electromobility. Connected and electrified cars have made the show in Paris during two weeks, but new models displayed at the "Mondial de l'Automobile" had also some impressive safety features. If you consider for instance the new A-Class from Mercedes, this car offers numerous driving assistance systems, from drowsiness detection with Attention Assist to proximity control with Distronic Plus. 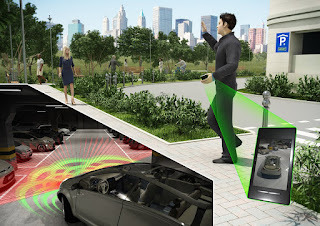 These assistance systems, which until now were reserved for higher vehicle segments, are based on state-of-the-art radar, camera and sensor technology. The Collision Prevention Assist system gives a visual and audible warning to alert a possibly distracted driver to identified obstacles, and prepares Brake Assist for the most precise braking response possible. This innovative solution aims to provide protection against typical rear-end collisions in hazardous driving situations at speeds above 30 km/h. This time, the connected car is on he road. At Paris Motor Show, Renault is showing R-Link on board tablet PC (soon available in new Clio and Zoé). 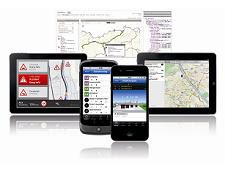 Linked to the Internet, this Android based device enables the driver to get up to date informations on traffic, weather forecasts and parking lots available. Renault has created a R-Link Store inspired by the famous App Store. Every two years, the french capital welcomes the "Mondial de l'Automobile". This Motor Show, which is the most attended in the world (1,5 million visitors), is once more focused on EVs. OEMS are showing new models and a test track is welcoming visitors for a ride and drive. An electric village also welcomes plug suppliers. 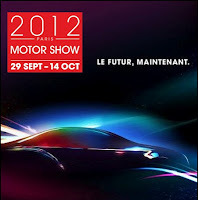 Here is our guide of Paris Motor Show. CESA is the most important automotive electronics conference in France. After the huge success of CESA in the last years, we are holding the third CESA 2018 conference on 5th and 6th December, 2018 in Versailles.